Arsenal have had a difficult start to the season but they’ve received some welcome news on the injury front as Laurent Koscielny was spotted back at the training ground on Thursday. As per The Independent, the defensive stalwart suffered an Achilles tendon injury last season while in action against Atletico Madrid in the Europa League, which also forced him to miss the World Cup over the summer. 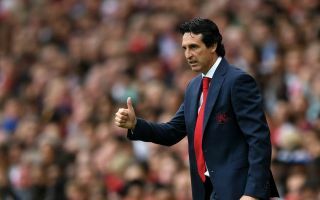 In turn, that would have been a huge blow for him personally, and it will have been frustrating for Koscielny and Unai Emery to see him sidelined throughout pre-season as the 32-year-old will hope that he still has a key part to play under the Arsenal boss after he replaced Arsene Wenger. As seen in the video below, there was good news on Thursday as the Frenchman returned to the club’s training ground as he seemingly looks set to step up his recovery from his injury and to start to push to get his place in the line-up back. Sokratis Papastathopoulos arrived from Borussia Dortmund this past summer to offer further competition for places, but it remains to be seen whether or not either he or Shkodran Mustafi make way when Arsenal’s defensive veteran returns to action later this season. The Gunners have fallen to back-to-back defeats to start the new campaign, conceding five goals in their opening two games against Man City and Chelsea.